In September 1980, around the time Mr. Trump was laying the groundwork to build a casino in Atlantic City, New Jersey, his father lent him $7.5 million, a matter previously reported. In 1981, when Mr. Trump applied for a casino license, regulators learned he received a $100,000 salary as an executive vice president at his father’s company, Trump Management Inc., and yearly trust money that varied from around $32,000 a year to more than $200,000. After The New York Times reported that Donald Trump 1995 tax records show he lost nearly $1 billion dollars in a year, Newsweek financial reporter Kurt Eichenwald re-examined the real estate magnate's early cash problems and found that when all of the loans and gifts from his father are taken into account, the candidate's business "genius" appears abysmal. The application came on almost the exact same day as the opening of the development Trump portrayed as his biggest success — the rebuilding of the Commodore Hotel in Midtown Manhattan into the Grand Hyatt New York. But Trump’s success in that deal — as well as every project that preceded it — came because he was born with a silver shovel in his mouth. His father, a major New York developer named Fred Trump, had personally guaranteed the construction loan from his banker at Chase Manhattan so that his son could do the project. Through that same banker, Fred Trump also arranged for Donald Trump to obtain a personal line of credit of $35 million at Chase Manhattan. In one more bit of evidence that the wealthy are not like you and me, the bank gave Trump the loan without even requiring a written agreement. In 1978, the same year that Fred Trump set up the credit line for his son at Chase Manhattan, Trump’s personal finances collapsed. By then, he had borrowed $38 million from his line of credit — the bank adjusted the available amount up by $3 million when Trump exceeded his credit limit. So Trump took the same route he did for the rest of that decade and in decades to come: He borrowed more to keep himself afloat. . . . On September 24, 1980, Fred Trump arranged for a series of loans totaling $7.5 million to his son. . . . That same day, one of the Trump family’s companies, Trump Village Construction Corporation, lent Donald Trump an additional $976,238. All of the loans could be paid back at any time, and Donald Trump was not liable for any of the interest payments on them. The primary way Trump avoided bankruptcy for years, Eichenwald reported, "was not through any personal skill, but because of an accident of birth — his wealthy father, who set him up in business, bailed Trump out." In fact, The Washington Post has previously reported that Trump admitted in a 2007 deposition that he'd borrowed at least $9 million of his inheritance from his dad when he faced financial difficulties. 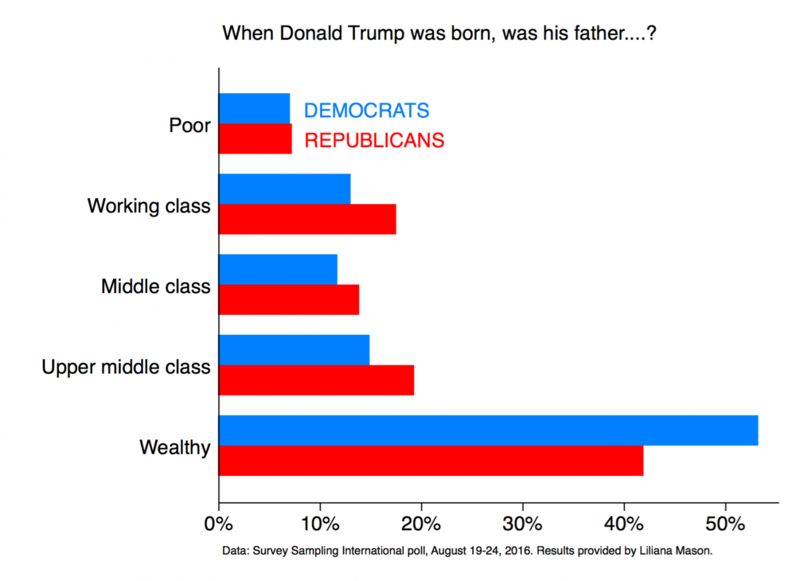 "So Donald Trump lost more than $50mm of daddy's money by the age of 33. Born on 3rd base, stranded on 1st," Eichenwald tweeted Wednesday. The lawyer, Howard Snyder, approached the casino cage and handed over a certified check for $3.35 million, drawn on Fred's account. Snyder then walked over to a blackjack table, where a dealer paid out the entire amount in 670 gray $5,000 chips. The next day, the bank wired another $150,000 into Fred's account at the Castle. Once again, Snyder arrived at the casino and collected the full amount in 30 more chips. A year later, the Trump Castle went into bankruptcy.